White chino bermudas in light cotton, ideal for summer. Slim fit. Belt loops, zipper and button under tab. Four pockets, two on the sides at the front and two at the back buttoned. This comfy and chic model can be worn on any occasion. Light blue chino bermudas in light cotton, ideal for summer. Slim fit. Belt loops, zipper and button under tab. Four pockets, two on the sides at the front and two at the back buttoned. This comfy and chic model can be worn on any occasion. Turquoise chino bermudas in light cotton, ideal for summer. Slim fit. Belt loops, zipper and button under tab. Four pockets, two on the sides at the front and two at the back buttoned. This comfy and chic model can be worn on any occasion. Stretch linen-blend chinos bermudas. 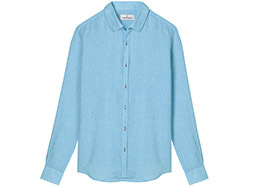 The Turner is a chic linen bermudas, which gives it this touch of originality. You can wear it on all occasions because it can be both chic and casual. Slim fit. Soft and lightweight fabric. Belt loops. Zipper and button under tab. Two side pockets at the front. For a casual look, adopt this couleur bermuda in cotton jersey. Adjustable drawstrings. Two piped side pockets and one at the right back with Europann badge. Everyday men's wardrobe essentials. Ocean blue color bermudas in 100 % linen. The Colorado is chic, soft and comfy. Ideal to wear with a linen shirt and a pair of loafers. Regular fit. Two piped slash pockets. Belt loops, zip and buttons fastenings. Comes in several colors. White color bermudas in 100 % linen. The Colorado is chic, soft and comfy. Ideal to wear with a linen shirt and a pair of loafers. Regular fit. Two piped slash pockets. Belt loops, zip and buttons fastenings. Comes in several colors. Ocean blue chino bermudas in light cotton, ideal for summer. Slim fit. Belt loops, zipper and button under tab. Four pockets, two on the sides at the front and two at the back buttoned. This comfy and chic model can be worn on any occasion. Klein blue chino bermudas in light cotton, ideal for summer. Slim fit. Belt loops, zipper and button under tab. Four pockets, two on the sides at the front and two at the back buttoned. This comfy and chic model can be worn on any occasion. Klein blue color bermudas in 100 % linen. The Colorado is chic, soft and comfy. Ideal to wear with a linen shirt and a pair of loafers. Regular fit. Two piped slash pockets. Belt loops, zip and buttons fastenings. Comes in several colors. Ink blue color bermudas in 100 % linen. The Colorado is chic, soft and comfy. Ideal to wear with a linen shirt and a pair of loafers. Regular fit. Two piped slash pockets. Belt loops, zip and buttons fastenings. Comes in several colors. 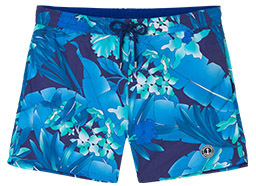 Ink blue chino bermudas in light cotton, ideal for summer. Slim fit. Belt loops, zipper and button under tab. Four pockets, two on the sides at the front and two at the back buttoned. This comfy and chic model can be worn on any occasion.